Flickr user "Biology Big Brother"
Potassium permanganate is a deep purple solution that is not stable for long periods of time in storage. As such, it must be standardized before it is used in quantitative methods such as titrations. Since it is a potent oxidixing agent, potassium permanganate can be easily reduced by a reducing agent. An oxalate salt is a common candidate for this. 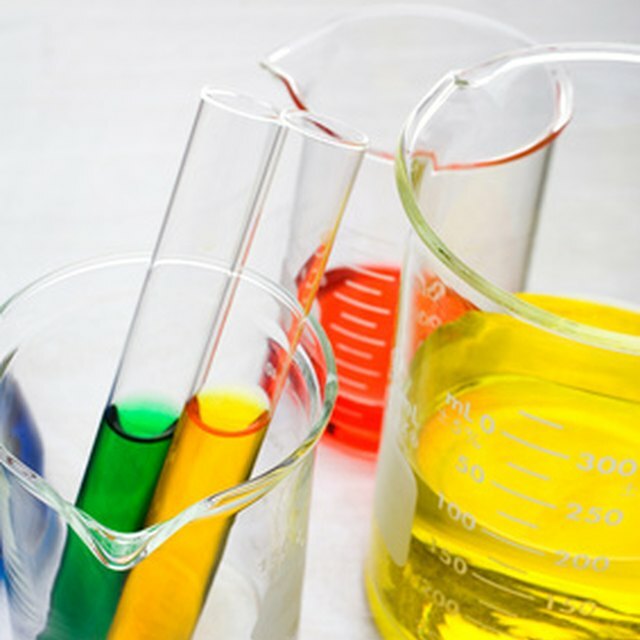 By standardizing a permanganate solution and then reacting it with an oxalate salt, it is easy to reduce potassium permanganate in a laboratory setting. Since the potassium permanganate (KMnO4) solution is not stable in the presence of light sources, it should be kept in a dark container. Fill a buret with the KMnO4 solution and record the initial volume. Put a beaker below the buret and fill it with the sodium oxalate solution and a stir bar. Record the volume and concentration of this solution. Titrate the permanganate solution on the hot plate with the oxalate in the beaker. Only use the hot plate's stir feature; do not heat the beaker. Record the volume of permanganate added when the purple color remains in the beaker (the endpoint). Calculate the concentration of the permanganate solution using the following equation: 2(Permanganate Concentration x Permanganate Volume) = 5(Oxalate Concentration x Oxalate Volume) Solve for the Permanganate Concentration in this equation. The coefficients 2 and 5 come from the balanced chemical reaction, provided in the References section. Using the now known concentration of permanganate, determine the volume of oxalate required to fully reduce the potassium permanganate. Use the equation provided in Section 1 to do this. Measure out the volume of oxalate solution determined in Step 1. Mix it with the potassium permanganate solution. The resultant solution should be close to colorless. Test the pH of the solution with litmus paper. If it is not pH 7-8 (green or yellow on litmus paper), add sodium bicarbonate and stir until it is neutral. Note the solution's color. If it is still pink, add a very small amount of sodium bisulfite until the color disappears. Pour the colorless solution into a chemical waste container for disposal. If the permanganate solution's concentration is already known, you can skip to Section 2. Avoid direct contact with solutions of oxalate or permanganate, since they can be harmful to the skin. Scott Becker began writing professionally in 2008. His work has appeared on sites such as eHow and LIVESTRONG.COM. His interest and area of focus in his writing is science, particularly chemistry, biology and physics. Becker is pursuing a Bachelor of Science in microbiology, immunology and molecular genetics at the University of California-Los Angeles. Becker, Scott. "How to Reduce Potassium Permanganate." 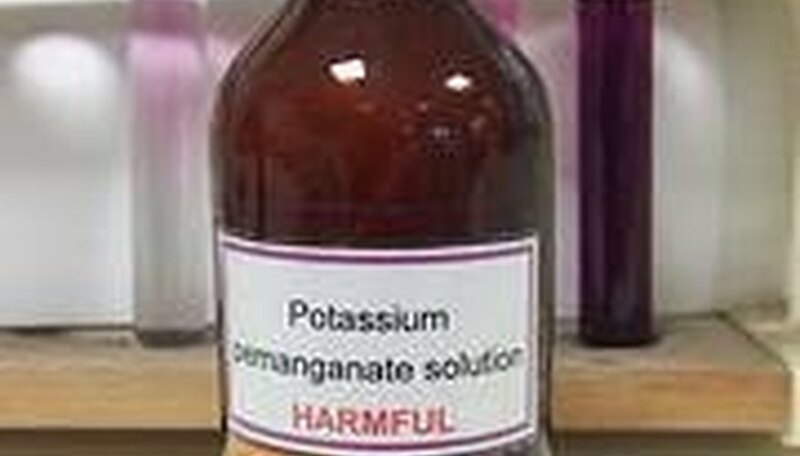 Sciencing, https://sciencing.com/reduce-potassium-permanganate-5243407.html. 24 April 2017.